What Fantasy/Sci-Fi Tropes Do You Feel Make Little Sense? Have you ever watch/read/played/listened/digested a work of speculative fiction and wondered, “Why is this a thing?” Both Science Fiction and Fantasy are filled with tropes which some may find tiring to see again and again, but at least some of them make sense. However, there are others that keep appearing that don’t make any sense at all. What Science fiction and fantasy tropes do you find either confusing or don’t make much sense? Which ones when you see them make you shake your head? Firstly, I always find it odd that fantasy works like to make it that Elves, who spend their time brooding and talking to animals are the best smiths and therefore, make the best armour and weapons. This is despite the fact that Dwarves spend their entire live smithing, mining and honing their skills. Makes no sense right? But yet, it appears in everything from the Elder Scrolls to Dungeons & Dragons. Why you may ask, especially when smithing has nothing to do with elves in mythology? Turns out it all stems from a misinterpretation of Tolkien’s work. If you’ve read or watched the Hobbit, you may remember that after the fight with the trolls, the group find elven swords in a cave. When they show them to Elrond, he states that you won’t find finer blades. People have misunderstood what he meant here and have assumed that he meant all elven weapons are the finest and therefore, the best. However, what he really meant was that those two swords in particular were the finest because they were held by famous people in history and have seen many battles. It would be like finding Excalibur & the Soulcalibur in your grandma’s wood burning oven. Even if we accept that people misunderstood this scene, surely logic would have made them realise that it made no sense that the equivalent of the Green Party were somehow better smiths then the people quite literally created by the God of Blacksmiths. In the tempering of steel alone of all crafts the Dwarves were never outmatched even by the Noldor, and in the making of mail [...] their work had no rival. With Mithril, Dwarves were able to reach their peak in making weapons. Suddenly, axes began taking on almost magical qualities, being able to slice through almost any metal. It seems that both Science Fiction and Fantasy writers have this idea that if someone decides not to conform to their races stereotype, they should be shamed and treated with neglect. For example, Sera in Dragon Age Inquisition is an elf who doesn’t care about the Dalish or anything Elvish. 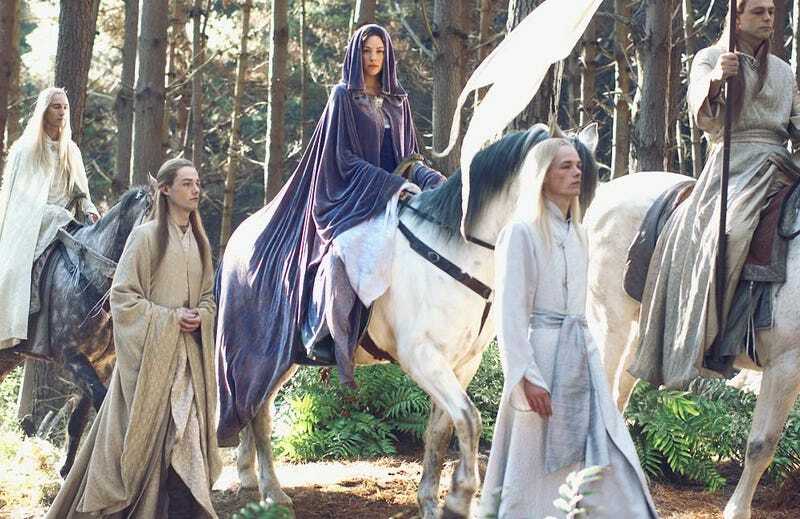 As such, she is constantly told that she’s wrong by Solas and treated with suspect for not acting “elvish”. What makes it more sad is that much of the time, the writers seem to think we should be siding with the bigot and then bends over backwards to try to prove that the person who has the sheer nerve of being unique is wrong. To be quite blunt, this attitude is bigoted. Seriously, try this in real-life (don’t really) and go up to a POC, LGBTQ+ etc and go, “how dare you be different! You should...” and then list off some stereotypes. See how well that goes for you. Star Trek by far is the worst offender of this in recent memory. It seems that nearly anyone that doesn’t conform to their species stereotype is looked down upon by everyone. A Klingon who doesn’t care about being a warrior or external honour, shamed. A Vulcan that doesn’t want’s to embrace emotions, shamed. A human who thinks the Federation’s ideals are wrong, shamed and always treated like a villain. And this is not even going into the more offensive material like when they apply this to ethnicity. Take the character of Chakotay for example from Star Trek Voyager. Now I am not the best person to discuss the racist issues about this character so here is a link to SFDebris review of the episode Tattoo, which discusses the problems far better than I ever could. Thankfully, this trope has become less and less common over the years, but sadly still pops up on occasion.